It’s been a long time coming but I have finally moved my blog over to my website. I hope to resume writing and photographing the world around me again soon. For now, I’m going through the archives and posting some past fires that never made it on to the site – primarily because they occurred before the site existed! I hope those of you that followed my blog before will follow me to the new location and continue reading as I resume writing. There will be some growing pains I’m sure but I look forward to working through them. 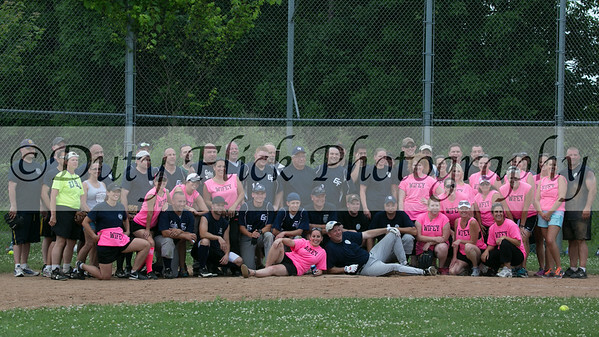 June 29, 2014 – Members of the Gates, NY Police and Fire Departments faced off on the softball diamond once again to honor the memory of a fallen brother. In addition to the police and fire teams, Gates Ambulance fielded a squad, along with a combination team of the public safety wives. The event raised over $1,400 towards the education of the Chung children. The top-billed game between Police and Fire came down to an exciting finish as the PD was able to pull off a 7-run rally in the final inning and walk away with a one-run victory. A base hit into the outfield by Officer John Ossichuck drove in the winning run, Investigator Sue O’Mara, from second base. This was the first victory in three attempts for the PD. Sonny Chung was a Gates Police Officer who was forced to medically retire following an on-duty crash while responding to a call in 2002. Sadly, a second accident claimed his life in early 2012. 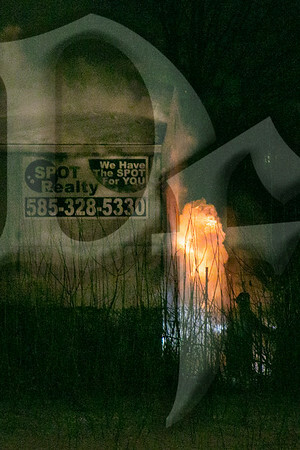 February 7, 2014 – Shortly before midnight Gates firefighters were dispatched to a business on Buffalo Rd. for the report of smoke coming from the building. Arriving shortly after the Gates Police, firefighters reported smoke showing and began an aggressive interior attack. Once inside, crews encountered heavy smoke and fire toward the rear of the structure. The fire had extended to the attic and was working its way to the front of the structure so firefighters began pulling ceilings throughout the building to expose and attack the fire. During the operation firefighters became concerned with the structural integrity of part of the building and established a collapse zone around the back. The building, which contains a two-story office building in the front and an attached commercial garage in the rear, suffered extensive damage. The back wall of the structure was burned through and that section also suffered a partial roof collapse. After approximately 80 minutes, the fire was declared under control at around 1 a.m.
November 9, 2013 – Rochester Airport Firefighters responded for an aircraft that landed with its landing gear up. The incident was declared an Alert 1, which added Engine 7 from the Rochester FD to the response. Airport Fire equipment arrived on scene quickly and Rescue 1 reported an aircraft that landed with its gear up, the lone occupant had self evacuated and there were no other hazards present. After the scene was secured by the Monroe County Sheriff’s Office, all equipment went back in service with the exception of Rescue 4, who stood by at the scene to assist Airport Operations and an outside towing company with the aircraft recovery. The incident was terminated at approximately 7:30 p.m.
Duty Flick is now on YouTube! I’m excited to announce that I recently created a YouTube channel! I plan on creating videos of some of my photo series, especially those covering emergency scenes (which WILL have dispatch audio when it’s available). I’m interested to see which direction I take it as I get more proficient with my video editing, but the ideas are already circling in my head. I’ve created two videos so far, one of which is a tribute to my niece who was recently killed in a car accident (more on that in a future post). Take a look, let me know what you think and watch for lots more in the future! 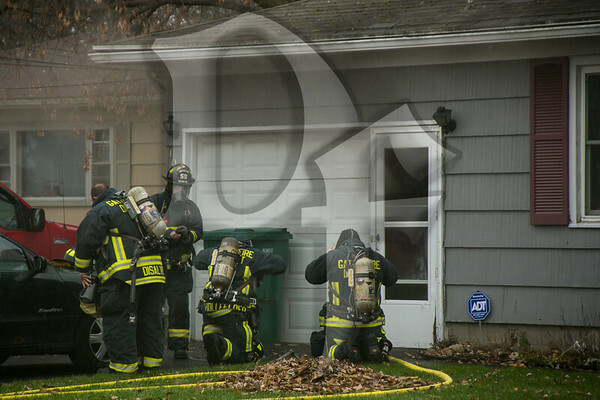 November 9, 2013 – Gates firefighters responded for multiple calls reporting smoke from a house on Spencerport Rd. just after 9 a.m. First arriving units reported smoke from the structure and declared a working fire. Crews stretched multiple handlines inside and down into the basement where the fire was located. The fire was under control in less than 30 minutes but the home suffered enough damage to be uninhabitable. 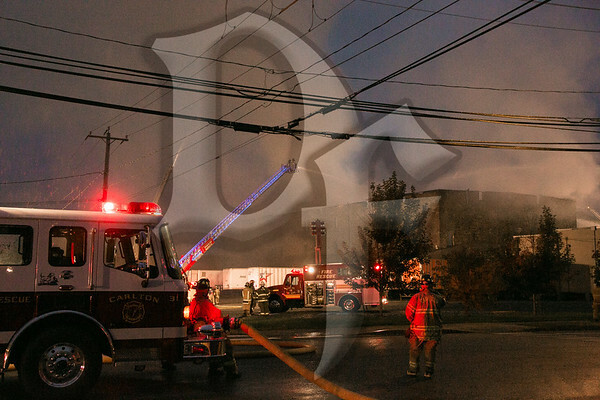 October 17, 2013 – Albion firefighters responded for the report of a building fire on West Ave. Firefighters arrived within minutes to discover the Orleans Pallet Company building fully involved. As many as 16 Fire Department’s either responded to the scene or as fill in companies by late evening. The Orleans County Soil and Water department increased production to ensure adequate water supply, and companies also laid a large diameter supply line nearly 1/2-mile to the Erie Canal for drafting.